Easter and Encaustic Wax - Did you know? Did you know that the earliest encaustic pieces, date back to around 6BC? Painted in encaustic techniques on wooden panel, it resides in Saint Catherine’s Monastery, Egypt. 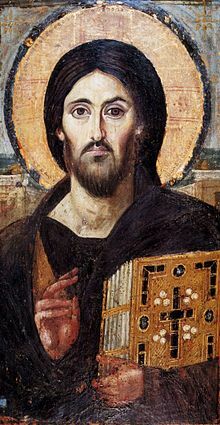 It is suggested that the two different facial expressions on either side of Jesus’ face, emphasize Christ’s two natures, as both fully God and fully human. You can learn more about Pantocrator’s, and encaustic use here. I hope you’re enjoying a restful and renewing Easter break.